Living on campus, away from home sure is fun. It is also a surefire test of how organized you or your student can be. Use gadgets like these to help you keep your stuff together! Parents, are you sending your kid to college with a car or a bike? Parking lots at schools can be intimidating.. Especially when the student rushes to get to class. Pull in a space, kill the engine, lock and go! And an hour later they are combing the lot saying “where did I park.” Bike racks can provide as much confusion. Prevent the inevitable with the GPS Homing Device keychain. Simply push a button when parking. The GPS unit marks the location and points them back to it while counting down the distance. And it is back lit for night use. You can set up to 3 different starting points to remember other locations. Don’t let any collegian take their wheels to school without a sure fire way to find their parking spot, just $79.95 at Hammacher Schlemmer. A durable bag is critical to college. 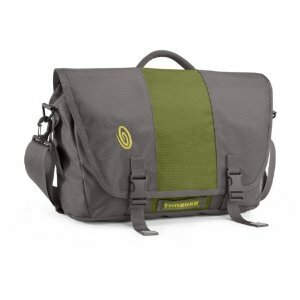 You need to keep your stuff together, and know it is safe.Timbuk2 has been producing quality bags for years. They recently beefed up their popular Commute messenger bag, $109 – $119 on Amazon, to adapt to today’s needs for collegians and professionals everywhere. The exterior allows for quick access to a key pocket, and water bottle storage. The interior continues with separate file storage, ample book space, plenty of pen/pencil storage and more bottle storage. A faux fur lined pocket provides protection for phones and scratch prone items. The Commute 2.0 offers an external laptop compartment with separate space for a tablet or e-reader, both heavily padded. And if you fancy travel you will zip through TSA with the lie flat laptop section. As with Commute 1.0 the TPU flap keeps your gear dry in a drizzle and the shoulder strap is removable. A variety of colors are also available to suit you, or your collegian. Sending a student to college with important documents or jewelry can be nervewracking. Sure, you trust your kid. But Who knows what crazies are living in the dorm. 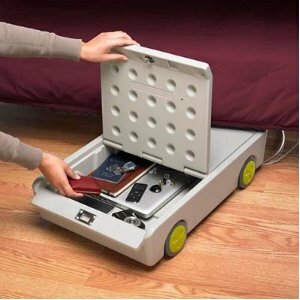 Give you and your student some peace of mind with the Lock & Roll Portable Personal Safe. Lock & Roll is less than 6” tall and – as the name insinuates – has 2 wheels for easy maneuvering. Drop in the valuables, lock it up and roll it away, and know that things are secure. The Lock & Roll is available on Amazon for $71.81, a steal for the relief it will provide. Instead of the GPS homing device, you could just spend a dollar or two at the most for a “find my car” smartphone App.